MOROCCO. 12 day motorcycle tour. Morocco is waiting for us with open arms! On this 12 day motorcycle tour we will have the opportunity to ride through some of the most iconic destinations the country has to offer. It will be a "12 day best of Morocco" tour. We will experience first hand the culture and geography as we make our way from cities, to deserts, to coasts and mountains. We will start our trip in the city of Malaga in Spain, where we will pick up our motorcycle and then get on the ferry in Algeciras towards Tanger in Morocco. Our first stop will be the city of Rabat. As the trip progresses we will begin heading inland towards the desert and all the magic it has in store for us. We will be staying in beautiful hotels, we will ride a camel through the Merzouga dunes and feel like a modern day Indiana Jones. 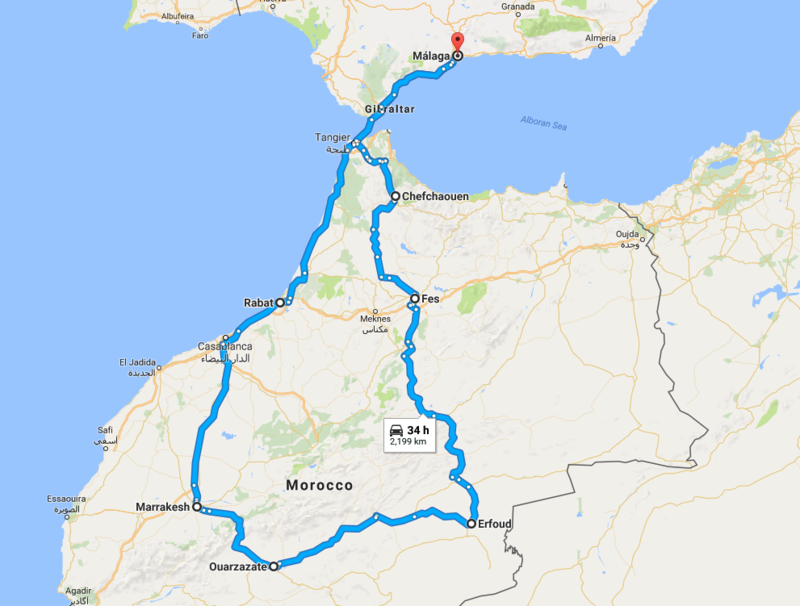 We will ride the atlas and anti atlas mountains towards the end of our trip and ride high high into the famous Tichka pass, the highest mountains pass in Morocco. The Dades Gorges and Todra Canyon will be on our itinerary as well. We look forward to riding Morocco with you! Road Conditions: 100% paved roads. ​- And so much more!! 11 nights accommodation in handpicked exceptional hotels and locations. 10 day motorcycle rental with unlimited mileage and motorcycle insurance.